While the United States remains steadfast in putting Edward Snowden in the "whistleblower spy" archive of history, other nations consider his efforts a laudable fight against the subtle tyranny of the surveillance state. 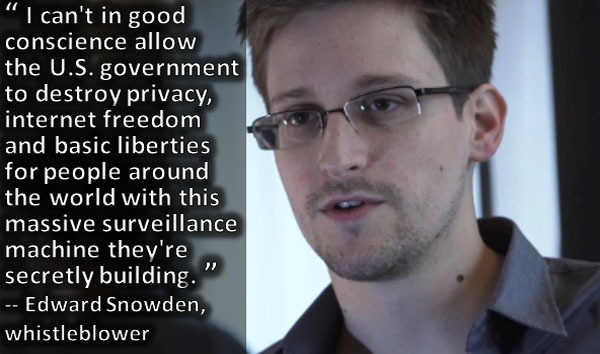 This week in Sweden, Snowden was awarded the Right Livelihood award, a humanitarian recognition of his work to free Americans (and others) from the zoo of Big Brother's surveillance amusement. And we, in good conscience, shouldn't let them. According to the Guardian UK, Snowden was not physically able to attend the ceremony, as he considered it a threat to his safety (he is wanted on charges under the Espionage Act in the United States, whose notorious record of "renditions" would have rightly worried Snowden.) However, he spoke with the committee via teleconference from Moscow, where he is currently living in exile. In a show of solidarity for Mr. Snowden's deplorably alienated circumstances, none of his family members would accept the award in his absence, noting only that someday Snowden himself should be able to do so. Informed and angry. He's not wrong. The award jury noted that Snowden was being commended “for his courage and skill in revealing the unprecedented extent of state surveillance violating basic democratic processes and constitutional rights." No one cares you have nothing to hide. Something can be used against you. 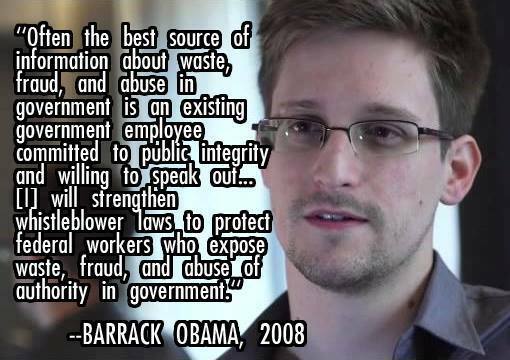 President Barack Obama, who did not comment on Snowden's award, had previously campaigned with a strong intent to protect American whistleblowers. They spelled Obama's name wrong, but everything else about this is sadly correct. Pimp My Corporeal Ride: Smart Skin!